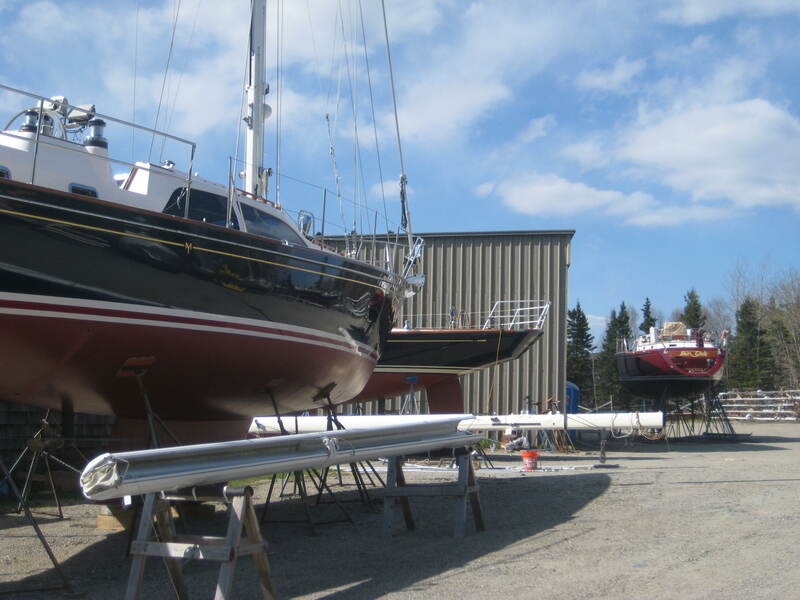 05/08/12 – The Morris Service docks and moorings are alive at the moment with the bustle of activity as boats come out of their winter storage sheds into the spring air for re-commissioning. “The season has started early” says Kirk Ritter, NEH Morris Service Manager. “Our yards are full with boats awaiting their Captains and Owners for memorable summer cruises.” Also down on the Morris Service docks is a beautifully restored Linda 28, which recently sold on the Morris Brokerage market and has been restored to her former glory over the winter by our Service craftsmen. With her new refreshed appearance, she is heading down the coast to Martha’s Vineyard this summer with her owner for a summer of fun. We hope to catch up with her again in July for the Vineyard Cup, where once again a number of Morris yachts will gather for the annual Vineyard Cup charitable sailing regatta.